Track and target Pokemon, and brag about your captures online. Play Pokemon Go without jeopardizing your life or your phone battery. A companion app for Pokemon Go. 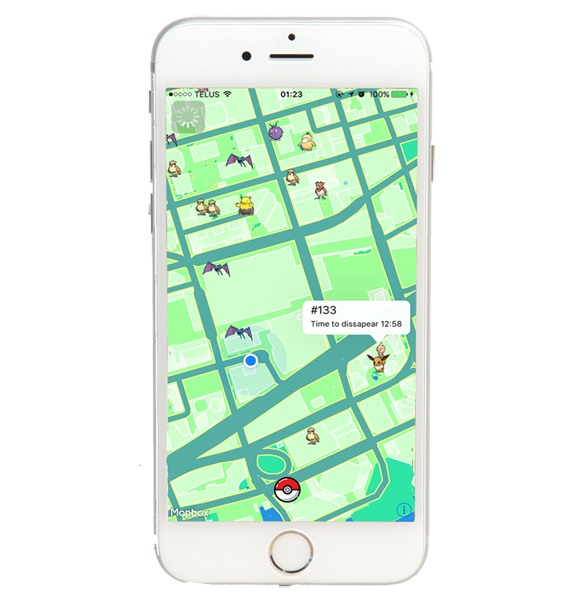 Discover the location of Pokemon that have been found by scanning the geolocation around you using your app. This data is not crowdsourced and it does not come from a server. These results are all live and generated by your phone and location. Not only can you see the Pokemon that are around you but also how long they will be there! Pick which Pokemon the app targets so you can fill your Pokedex faster without keeping your phone open 24/7. Our Beta testing list for iOS is now full, but sign up to receive updates on progress and a notification when we release, or to join the Android list for the future.